The Midnight Freemasons: Spreading Cement? "The trowel is an instrument made use of by operative masons to spread the cement which unites a building into one common mass, but we, as Free and Accepted Masons, are taught to make use of it for the more noble and glorious purpose of spreading the cement of brotherly love and affection, that cement which unites us into one sacred band or society of brothers, among whom no contention should ever exist, but that noble emulation of who can best work or best agree." I was recently watching a home improvement show on TV. The host was explaining to his audience that when most people refer to the slurry which hardens and creates a hard, unmoving mass, they call it cement, however they are actually creating and using concrete or mortar. 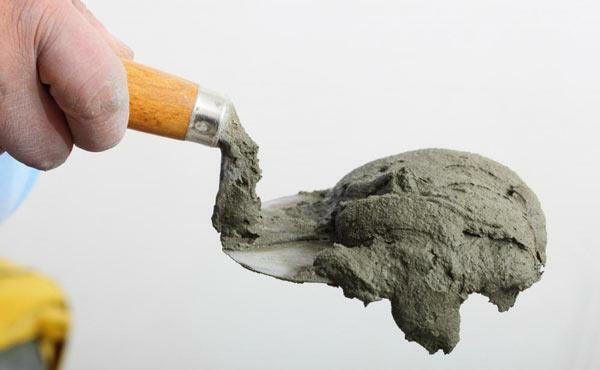 Cement is actually just one component in creating concrete; it is a binder which holds all the ingredients of the mass together. It's no secret our fraternity is now smaller than it was after World War 2. Some say the large numbers who joined during the conflict had been an anomaly, that the number of men who hold membership in our gentle craft is supposed to be small. Others believe the decline in membership is a cause for alarm, and the Fraternity needs to try to bring the number of members back to the “post war” numbers (or even to surpass them) at all costs. Maybe, much like that concrete we have been calling cement by mistake, we are offering these men something we call Freemasonry but which doesn’t measure up to the expectations we have laid out. If you ask any builder, a sure way to weaken a building you are making is to substitute the quality ingredients of concrete with inferior ingredients. Sadly, many buildings have been destroyed over the years by using “shoddy” building materials in order to maximize profit or to lower the price of a bid in order to get the work. These inferior materials may stay in place long enough to complete the building, but after a while the entire edifice will begin to crumble and eventually collapse. Usually, sadly, many unsuspecting souls who are occupying the building can lose their lives to the builders greed or incompetence. Slowly our Fraternity has been replacing the quality ingredients which creates the strong concrete which has held our Fraternity together and has replaced them with inferior materials or left them out of the slurry altogether. From the late nineteenth century, when a few intolerant “temperance” zealots thoroughly removed refreshment while ignoring the virtue of temperance by convincing Grand Lodges to remove all alcoholic beverages from our meetings and Temples, we have slowly been replacing the quality ingredients that made a lodge successful, which, in my opinion, has been causing the cracks in our once solid foundation. We have further weaned our Fraternity by replacing dues which paid the bills of our lodges and paid for the maintenance of our buildings by offering Freemasonry as cheaply as humanly possible and replacing the money by holding fundraisers which no one volunteers for and which are rarely patronized even by the members. The once fantastic food that lodge members enjoyed on fine china placed, on a beautifully pressed linen tablecloth, has give away to baloney sandwiches and potato chips on a floppy paper plate washed down with warm iced tea or cold coffee. At one point in our history, the Brethren gathered into a beautifully ornate lodge room. They sat quietly while the lodge organist would play a light tune before lodge was opened and a thoughtful evening of discussion and learning made the men feel spiritually fulfilled. Sadly today we get badly performed ritual done by a Brother who was asked at the last minute to fill the chair. Once lodge is opened the process of listening to several sets of minutes from previous meeting be read in a monotone by Brother Secretary while the Treasurer gets prepared to tell the lodge how much money they don’t have. As an added bonus you get to spend the rest of the evening arguing over the cost of the lodge’s bills and then vote to pay them (even though everyone there knows these bills were already paid several weeks ago). The rest of the evening is begging for volunteers for fundraisers or to fix a piece of the building that has fallen down, and everyone tries to escape as quickly as possible. The last one out of the building, please shut off the lights. The last ingredient which remains, “the cement”, has been reduced to young men hearing “Back in the sixties, we had fun. You should have been here then.” When the young man suggests reviving these old traditions or starting new traditions they are stopped cold. They are told “We couldn’t do that” or the ever popular “Grand Lodge won’t allow that.” Eventually these young “living stones” fall out of our Masonic edifice because the mortar which binds them there isn’t strong enough to hold them in place. The young men who are looking to join are looking for those quality materials we tell the world we build with. They are looking for education, enlightenment, a sense of Brotherhood and friendship, a reason that they are on this planet. 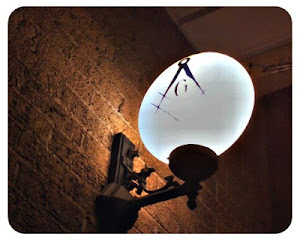 They have been told that “Freemasonry makes good men better.” That is what they are looking for. Brethren if we want a strong fraternity which will stand up to the the storms and trials of the coming centuries we have to replace the “inferior” building materials with the things which made us the strong Fraternity we once were. That paints quite an unfortunate picture of us. While some of the points raised my be true to an extent in some lodges, I assure you it is not the status quo. Excellent! You are spot on. Add to this: don't speak anything negative. A sure fire way to fix a problem is to ignore it. Thank you Brother Hosler. So perfectly stated. I was raised in June of 2016. I joined in search of friendship and brotherhood. I do have the pleasure of this with the few active members of the lodge. However there are not many other than Past Masters. I would love to see our lodge become the foundation of our members social and spiritual journey. All I can say is we as active members need to carry the torch and uphold the standards of that Freemasons are known for. WB Bill Hosler: The universe as a great way of putting one in front of what one needed to see or hear. Some time as well it bring one in full contact with oneself. I could not have said it better than what you have painted here. I truly hope we can rebuild a place where the home of brotherly love was born and truly lives. Brother Mac - I share your desire and goals. My advice is to make your lodge what you want it to be. You can be the catalyst for change. It's not an easy journey, but I have seen changes in my lodges in the last few years. The brethren here at the Midnight Freemasons are making an impact on the craft, especially in the area of education. I would encourage you to take up the mantle in your lodge. It can be frustrating at times, but also very rewarding. As a newly made Master and worker of the Craft, both operative and speculative (7 year apprenticeship and 5 years literally carrying the company as a 1-stop journeyman), I must say that little attention is truly paid to the cement itself. The working tools build a better edifice when the care is given to the material. Portland cement based mortars, for instance, form an appropriate binder for modern materials. However, lime cements, those made with the planetarily potentially and actually ubiquitous materials of lime and sand, and for pozzolanic (hydraulic mortars) burnt (calcined) clay, make the most appropriate material for historical edifices. I could elucidate for many paragraphs, at least, speaking simply anecdotally, from personal experience but I could fill volumes with the historical and empirical research, not to mention theoretical or ideal methodology. It is about flexure, bedding, both mechanical and chemical bonding, and the fact that the stone is working to find its way home within the fabric of the construction in relation to its peers with regards as well to the center of gravity of the earth and beyond. The ancient cements had self-healing properties and by principle, all mortars form a sacrificial function with regards to the the constituent building materials, whether they be stone, brick, or gravel. The monolithic activity of the mortar should work well with the propensities of physics, which involve a constant living interplay, the dynamic of tension and compression, of stress, charge, discharge, and relaxation within a vast cloth of 'Versal harmony. Examine "The Lime Cycle" if you want to progress beyond Cowan (who may very well build a decent wall without mortar to bind it!) to a greater understanding. I am now working my own Masonry. Compassion and love I yearn to deepen with learning as I work my art, even in mundane forms. Brothers, listen with me in the quiet of our hearts to the Teacher...I trust that your seeking will lead you if you do not already know.